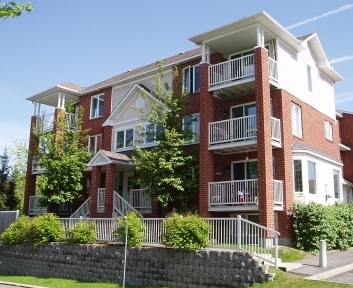 Balconies have always been a premium building feature. They provide additional living space without reducing useable property. A Balcony is effectively an outdoor extension of your indoor living space - an outdoor room. Traditionally, balconies have been built on buildings fabricated of steel and/or concrete frames. 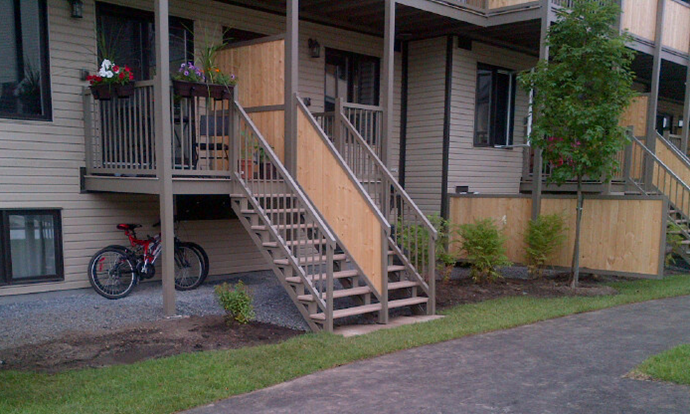 Buildings that have concrete floors typically extend a floor/slab to provide a balcony deck. 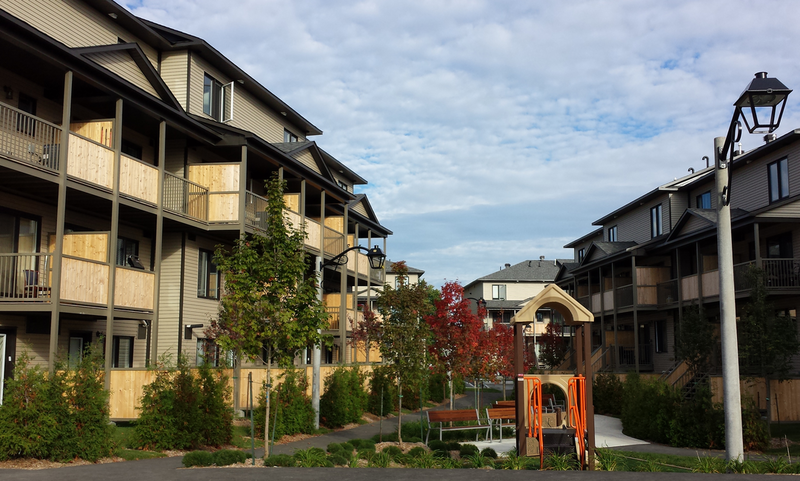 To install a balcony on a wood framed building, is an entirely different effort. On a wood frame building, a balcony must rely on its own structure to support the weight and other stresses that will be imposed on it during the normal course of its life. 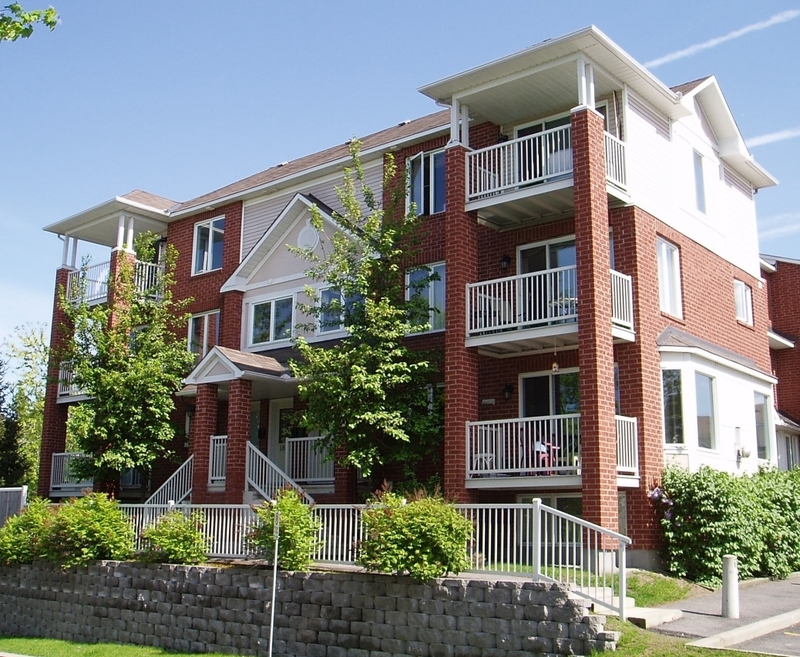 In the past, when the only typical alternatives have been wood or welded steel balconies, it was difficult to maintain the structural strength and aesthetic appearance without extensive maintenance programs and associated costs. Wood and steel construction require expensive on-site labour and may require considerable maintenance, particularly painting to prevent rot in the case of wood structures and to prevent rust in the case of the steel structures. Steel structural elements while perceived as being more durable are heavy and require heavier machinery to handle, and often will damage a concrete slab with rust based fragmentation at connections. Wood structures of this type decrease in strength during their useful life due to weathering and decay. Today, the ALCUF BALCONY SYSTEM provides superior strength, beauty, life, and value for your balcony needs. It can adapt to any type of building structure, whether it is new construction, or an existing building. For typical residential wood framed structures, there are normally very minor design modifications required to accommodate the system at mounting points. The design of the ALCUF BALCONY SYSTEM provides for minimum labor cost during installation. Because it is substantially all aluminum, it requires no heavy equipment, and minimal scaffolding during construction. This is how the overall cost of the system remains competitive even though the actual materials are more expensive than the alternatives. Because of its innovative design and engineering, your ALCUF BALCONY requires minimal labor costs providing you with a very competitive balcony solution. There are several alternative materials that can be used in your ALCUF BALCONY SYSTEM. 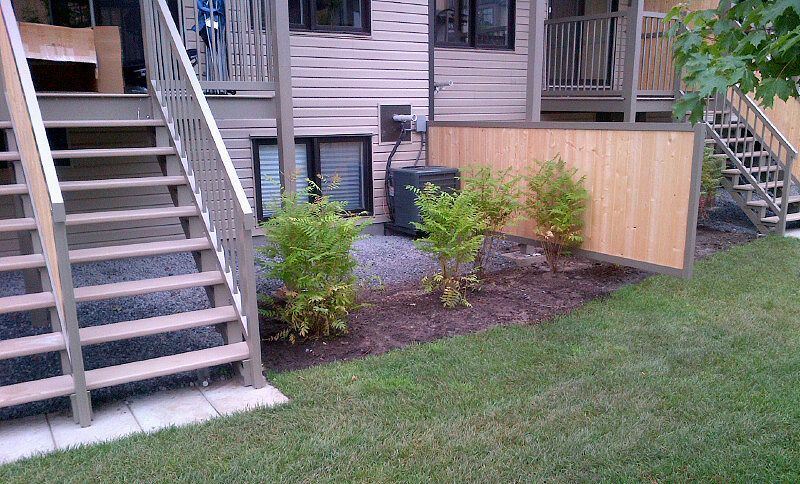 Typically the railings are installed using our standard ALCUF FENCING picket infill. Of course this could be various types of glass, or even cedar. The partitions between other dwellings are typically cedar or aluminum panels, but again, these infills are unlimited (see background information and the story about the barn - this is information about using wood for infills as compared to frames). Typically the floor is a fiberglass coated plywood or composite for maximum life and durability. Our systems are also designed for adjustability in the event that buildings shrink or settle (typical for wood framed construction). There are many benefits to an ALCUF BALCONY. To start with, there is the fact that because of its inherent durability and virtually maintenance free design, there is an additional level of safety that should not be taken lightly. Using wood for a balcony structure is very unpredictable because of the way wood is sold today. For more information on wood, and why it is different today than even 10 years ago, ask for our Alcuf Product Memo #004. This explains many of the changes in the quality of wood today, and the changes in what was known as pressure treating, and what is now known as pressure treating. The final result is a high quality balcony that will last as long as the rest of your building. It will outlast many of the other major components of your building or home. On the other hand a wood balcony will require serious maintenance or total replacement before long. 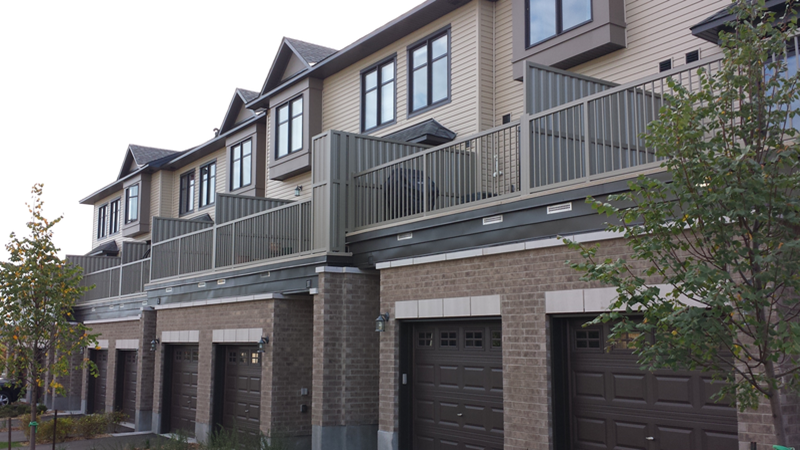 ALCUF BALCONY SYSTEMS add dimension to the exterior appearance and design of single homes, or multiple housing units. Since we have been installing these systems (30 years+), our dealers continually receive complements on its design and appearance from the home-owners or end users.